Learning phonics is an essential pat of reading for many children. Breaking patterns down into word families is an important skill! 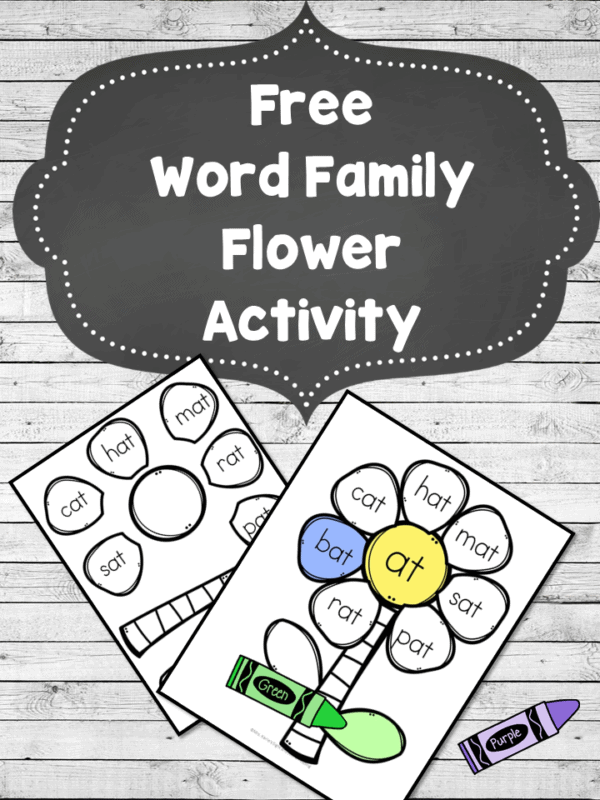 With the word family flower from Sight and Sound Reading, your child can have fun putting word families together. With this adorable activity, your child can start to piece together phonics patterns. It’s visual and hands-on, which is a huge benefit! It also provides coloring, cutting, and pasting skills, which can help in other areas as well. To get your free activity printable, just go to Sight and Sound Reading! There are tons of other fun activities there as well, so be sure to check them out. You can also find free resources from Sight and Sound Reading here! Download your Word Family Flower!